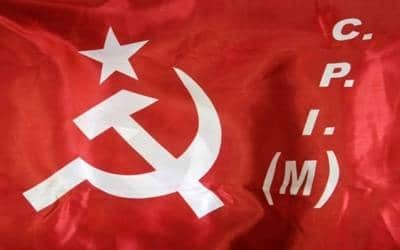 Kolkata, April 14 (IANS) The CPI-M led Left Front (LF), which ruled West Bengal for 34 years at a stretch before suffering a crushing defeat in 2011, is now a divided house, with analysts foreseeing the coalition faring poorly in the coming Lok Sabha polls after the failure of the seat adjustment talks with the Congress. The LF, which secured around 29.5 per cent of the votes in the 2014 Lok Sabha election, winning two of the state’s 42 seats, saw its vote share come down to 24 per cent two years later in the Assembly polls (where it contested 193 of the 294 seats, leaving the rest to ally Congress). This is in contrast to the 41 percent votes it had garnered in 2011 competing in all the 294 seats. The combine suffered further erosion in a number of by-polls over the last three years, when it ceded much of the main opposition space to the BJP. "Since then there has been no new dynamics which indicate an increase in the coalition’s vote share. Now, the LF constituents’ organisational strength would determine whether their base still gets eroded. "If the trend of the last few years continues, they may lose a part of their support base to the BJP. The Left’s major problem is their brand of politics is no longer acceptable to a large section of common people," political analyst Bimal Shankar Nanda told IANS. According to Nanda, the LF was in a position to give a good fight in three seats – Raiganj and Balurghat in North Bengal, and Jadavpur in Kolkata’s vicinity. In Raiganj, the CPI-M has renominated its sitting MP Mohammad Salim, while noted lawyer and former city mayor Bikash Ranjan Bhattacharya is fighting from Jadavpur. In Balurghat, LF constituent Revolutionary Socialist Party (RSP) has fielded Ronen Burman. "Excepting these three seats, I don’t think they stand a chance. I even have doubts whether they can repeat their performance of winning two seats five years back," said Nanda, a professor of Political Science. Another political analyst, Udayan Bandopadhyay gave the eight-party LF one or two seats "at the most". "In Jadavpur they are putting up a strong fight. In Murshidabad, the other seat they won in 2014, they have a strong base. But apart from that, i don’t see them finishing on the victory podium anywhere," said Bandopadhyay, an Associate Professor of Bangabasi College. However, the Left leaders seemed upbeat. "If elections are free and fair, we’ll do very well. People are very unhappy with the ruling Trinamool Congress," CPI-M Central Committee member Shaymal Chakrabory told IANS. He also claimed that those Left workers who had crossed over to the BJP were coming back. "The situation is changing. They are now coming back. And nowadays, the movement is mostly from the Trinamool to the BJP." Leader of the LF legislature party and CPI-M state secretariat member Sujon Chakraborty too sounded positive. "People want to get rid of the Trinamool, which had come to power promising a change. But people now want a change in the state from the way this party has criminalised, communalised and corrupted the politics and culture in the state," Chakraborty told IANS. He blamed the Trinamool for allowing the BJP to enter and grow in Bengal. "Unfortunately, the Trinamool has given entry to BJP in the state, and due to its policies the BJP has grown. The BJP’s divisive politics is very disturbing," he said. Despite their alliance coming a cropper in the 2016 assembly polls, the LF tried to forge seat adjustment with the Congress this time around, but its constituent, the All India Forward Bloc, outrightly rejected all requests to even sit for talks with the Congress, and even refused to part with the Purulia constituency which the Grand Old Party had asked for. The talks finally did not succeed. The LF had, however, as a token gesture decided not to contest the Baharampur and Malda South seats, where senior Congress leaders and sitting MPs Adhir Ranjan Chowdhury and Abu Hasem Khan Chowdhury are in the fray. But in a development unthinkable in the halcyon days of the coalition, its constituent, the Revolutionary Socialist Party, has nominated Eid Mohammad from the seat. The step drew an angry reaction from LF chairman Biman Bose, bringing into the open the fissures in the combine. "It was the LF’s unanimous decision not to put up a candidate. If despite that, the RSP has decided to fight in Baharampur, it is a violation of the LF’s decision. They have to withdraw." However, the RSP paid no heed. "We had agreed to leave the seat for the Congress when seat adjustment talks were on. When the talks didn’t succeed, why shouldn’t we give a candidate? The CPI-M has also put up a candidate against (former President) Pranab Mukherjee’s son and Congress’ sitting MP Abhijit Mukherjee at Jangipur," RSP state secretary Kshiti Goswami told IANS. "We have to contest six assembly seats in the area in 2021. There is a strong demand locally that we contest the seat". CPI-M leaders, on the other hand, pointed out that both RSP and the AIFB were part of the Congress-led United Democratic Front in Kerala. "All parties, which claim they have a national footprint, should display uniformity in their policies in different states. These two parties need to explain how come they are so opposed to the Congress here but partners of the Congress-led front in Kerala," the CPI-M’s Sujon Chakraborty said, adding the Baharampur episode was only an aberration. "The factors favouring the existence of the LF are far too many. So differences over one seat aren’t a cause for concern. "In politics, differences often exist within a party . And here we are talking of a front of so many constituents," he said. But Nanda said after a series of poor electoral performances, the other partners were not ready to follow the CPI-M’s diktat. "If the LF yet again flounders, then its very existence may be in doubt." Asked to comment on the LF’s poll prospects, Leader of Opposition and Congress veteran Abdul Mannan told IANS: "They need to stop the flow from their ranks to the BJP. Their performance will depend on their ability to contain the erosion in their support base".